I don’t know about your neighborhood, but mine has an annual garage sale that attracts all kinds of people out of their homes to buy the stuff the guy down the street doesn’t want anymore. People are looking for trinkets of treasures in the refuse of the people down the street. There is a marketing lesson to be learned by participating in a garage sale, either as the seller or the buyer. These lessons can be applied to your own marketing plan. 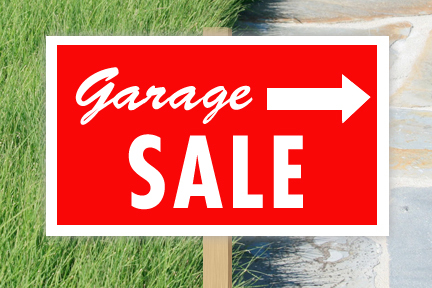 Take a look at these five lessons learned from a garage sale. People go to garage sales for the perceived value, not because they need someone’s used stuff. No one gets up on a Saturday morning and thinks, "This is the day I could be wearing my neighbor’s golf shirt” or "I bet I could use another pair of beaten up hedge clippers” In marketing, it is our job to convince the customer that they are getting a deal, the rest is psychological. The truth is people buy items they don’t need simply because they believe they are buying it on the cheap. One of the four Ps of Marketing is Place (the other three are Product, Price and Promotion.) Smart garage sale workers understand the importance of putting the most attractive items front and center, just outside the garage so that it can be seen from the street. Maybe that’s the trampoline your kids have outgrown or the dining room table and chairs. People give a quick glance to items you are selling. If you don’t catch their eye during this glance, you have lost them. I have worked many garage sales and I can tell you from experience, the product that is placed front and center usually sells, especially if it’s the item people stop their car in the street to take a second look. The same can be said of a POP display in a retail environment or the products and services on your web site. First seen, first bought. Have you ever noticed that when two garage sales are happening across the street from one another, the garage full of people attracts more shoppers than the garage sale with no shoppers. Why is this? You would think that getting into a crowded situation would deter someone and an open shopping experience with no one else around would attract more people. This is not the case. Again, this is our psyche working on us. When we see a crowd, we assume that there is something of great value in the garage. We also see lots of people and think they might buy the good stuff before we can get there. Our mind plays tricks on us and drives us to the crowd. At the same time, an empty garage suggests that there is nothing of value there. We shy away from those experiences. Here is the marketing lesson: crowds attract more and more people. So however you drive the crowd into your place of business, there is value in doing so. There are a certain species of bargain hunters that make a second income of picking items up at garage sales and reselling them. These folks are select about what they are looking for and typically show up very early for the garage sale, maybe even before you open. If you get to know these folks and ask what they are looking for, you can cut to the chase and show them your best items. They also are the folks who will haggle over the price. Expect them to counter offer. Understand that they are looking for something they can flip for a profit. If you know what they are looking for and can list these things in an ad (many neighborhoods have an online newsletter), you can do business with them. In your business, you may have a select group of buyers as well. Understand that they are looking for a super bargain that benefits them as well as you. Make a point of marketing to them in a whole different way than you market to the rest of your customers. They like being in this elite class. Stoke them with the marketing message that they are a special buyer and they are getting the best stuff at a lower price than you would let it go to the inexperienced buyer. Bundling items still is a very good way to move a lot of small items. Tools in a bucket or all the toys in a bag are a very good way of moving lots of items without the hassle of selling them separately. The same can be said about products or services you provide at your business. Bundle services together. It makes the entire package look that much more attractive. More is better still works as a marketing method. Learn a lesson from the garage sales in your neighborhood. 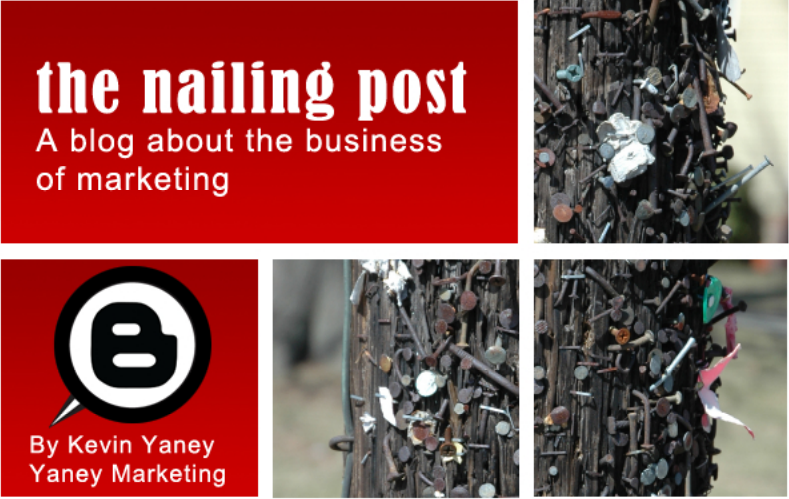 Try these five tactics in your own business marketing and see if they don’t work for you too.